Yum Yum Fest: Act Now! 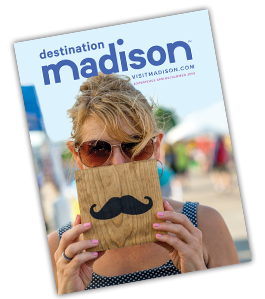 Sample Madison’s top-notch culinary scene by attending Yum Yum Fest, an end-of-summer festival featuring 24 of the area’s most celebrated chefs and mixologists. 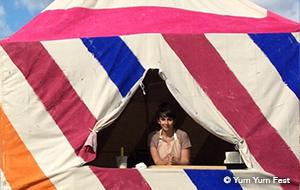 Held August 21,Yum Yum features cuisine from Madison’s food elite, such as James Beard Award winner Tory Miller and nominees Dan Fox, Jonny Hunter and Francesco Mangano. It is the only place you can sample the cuisine and cocktails from these and other renowned chefs simultaneously.This event has sold out in the past—buy your tickets online today! Two days after the twin towers fell on September 11, Madison firefighter Rob Verhelst volunteered to help with search and rescue at ground zero. 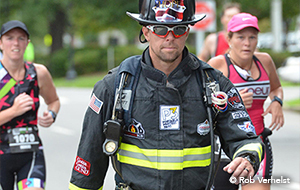 Now, fifteen years later to the day, “Fireman Rob” will be competing in IRONMAN Wisconsin (in his 50 pound turn-out gear) to honor the fallen heroes and raise funds for hospitalized children. Come cheer on Rob and the other inspirational athletes during this year’s competition, and perhaps be inspired to start your own IRONMAN journey. Volunteering for the event is a great way to immerse yourself into the culture, and volunteers receive priority registration if you’re interested in racing in 2017.